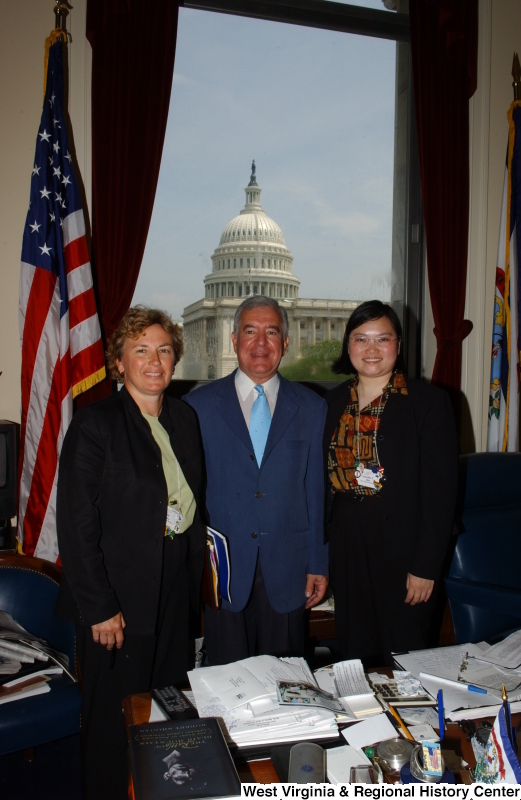 Congressman Rahall stands in his Washington office with two women. 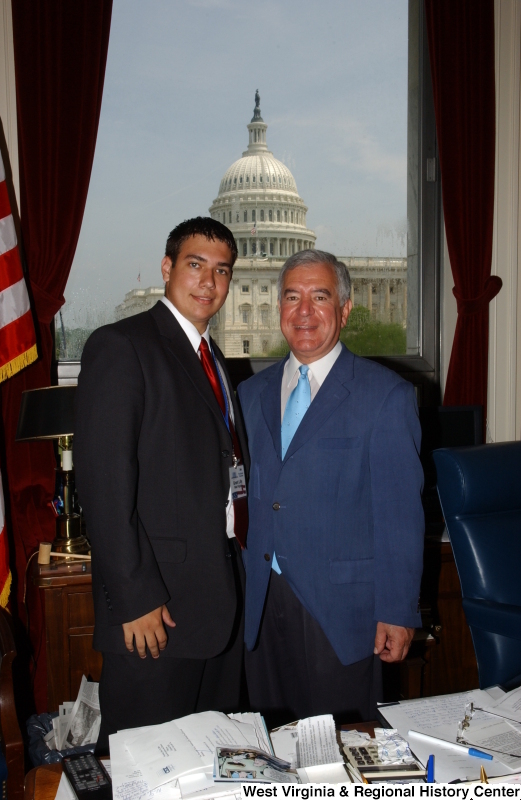 Congressman Rahall stands in his Washington office with a man wearing a dark suit, red tie, and Presidential Classroom badge. 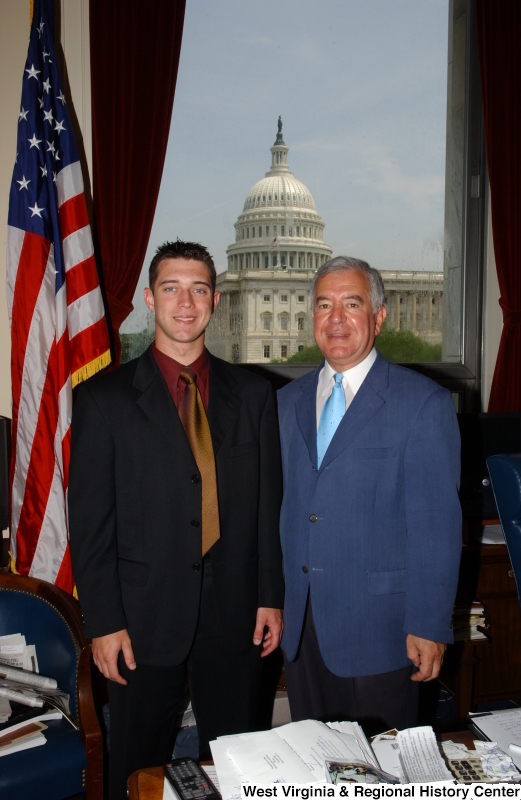 Congressman Rahall stands in his Washington office with a man wearing a dark suit, bronze tie, and burgundy shirt. 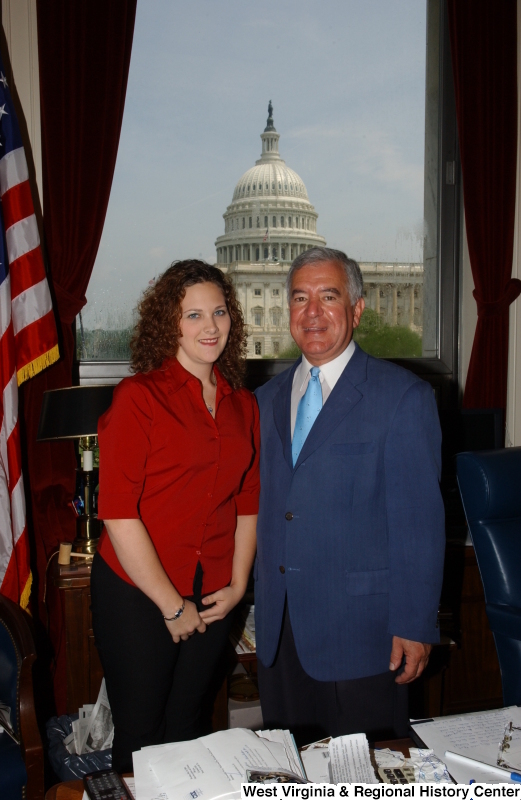 Congressman Rahall stands in his Washington office with a woman wearing a red shirt.